Outfitted with a modern infrastructure, we are the most prominent manufacturer and supplier of a quality assured Sheet Metal Perforating Machine. We are one of the trustworthy and renowned organizations, involved in offering a wide gamut of Metal Sheet Perforating Machine to our clients. These products are manufactured in accordance with industry set parameters using high-quality material and latest technology. These products are offered by us at budget-friendly prices. With the valuable assistance of skilled team of professionals, we are engaged in offering an extensive range of high-quality Perforated Sheet Making Machine. 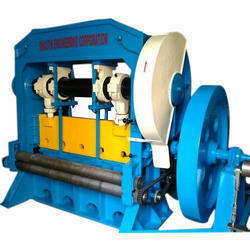 We offer perforated sheet making machines. 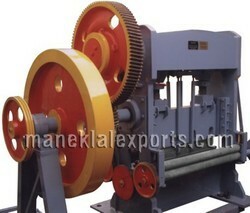 The sheet is perforated as per the die and is advanced by the amount of the perforated pitch set on the machine, with the next stroke of the slide. This cycle of feeding and perforating continues automatically. Our perforated sheets are sourced from reliable vendors and are acknowledged for their quality.